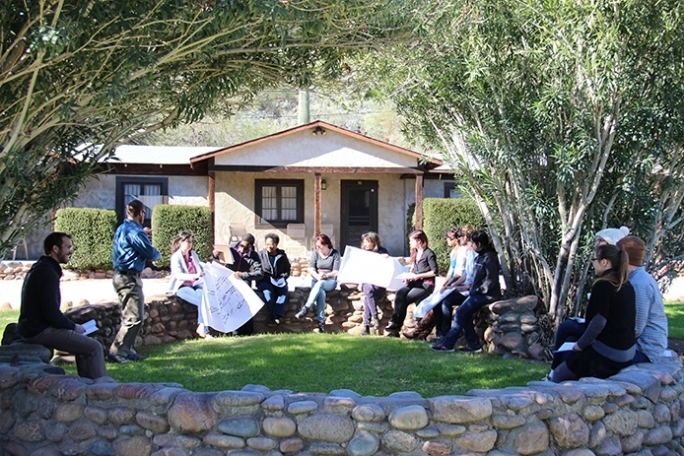 The third annual CNS Winter School was held January 3 – 11 at the Saguaro Lake Guest Ranch. Students representing seven countries and four continents came together for a simultaneously challenging and relaxing week. The program, which is run by CNS’s Ira Bennett and former CNS post doc Rider Foley (now at the University of Virginia), included faculty from seven different institutions and aimed to provide a wide range of perspectives, expertise, methods, and theories related to the anticipatory governance of emerging technologies. Students also appreciated the format of the school, which they felt fostered reflection and collegiality among both the participants and faculty. “We had great classes, but the discussions we had and the connections we could make between classes with our new colleagues were just as interesting,” said Vanessa Chenel, who is pursuing a doctoral degree in science and engineering ethics at the University of Sherbrooke in Quebec. Calls for applications for Winter School 2016 will go out in August.